10 oz Water bottle with Holder. This can be mounted on any section of tubing 3 inches in circumference of smaller. AM Series and 1410. 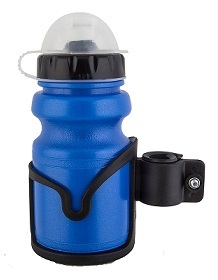 The 10oz water bottle comes with a rubber cage to attach it to AM Series and 1410.